Nils, Matthias and I arrived in Schelklingen the evening before the concert with SWR2 music journalist Julia Neupert. 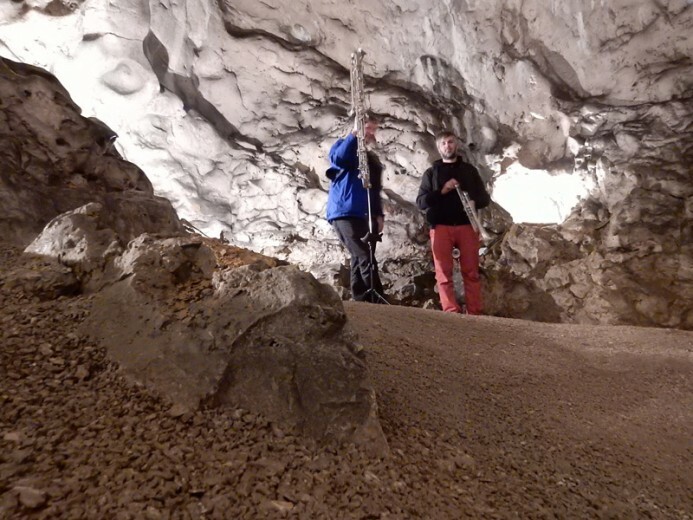 We had visited the cave the previous week when Marc and Kristof were in the area to make their recordings in the other caves. Hohle Fels is the most hall-like caves of the four we visited in the Alb-Donau-Kreis, clearly reflected in its acoustics. 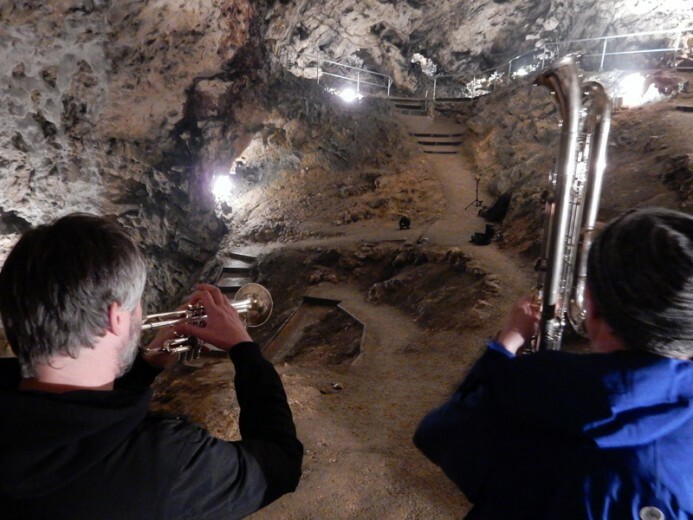 Unlike the other caves where our performances were more like interventions, Hohle Fels was a concert consisting of one longer piece. It took us a while to find the best position in the cave to perform - I had initially thought the middle of the cave would be the best acoustic spot, but the SWR2 engineers recommended the spot we chose as it gave some acoustic support to our sound, and frankly let us hear each other better. Hohle Fels is the most famous cave in the area, as its the home of the Venus of Hohle Fels, a small culture of a woman carved out of animal bone. It is also the site of a discovery of one of the oldest music instruments, a bone flute. Museumsgesellschaft Schelklingen e.V. was very generous with their time and energy to let us not only perform live in concert join the cave but to also record our concert for SWR2.